Following a brief update on the campaign so far by Joanne Donnelly, Dr Kevin Hearty, author of ‘Justice for the Craigavon Two: An Analysis of Injustice‘ lead the discussion with key findings and concerns about the case of Lurgan men Brendan McConville and John Paul Wootton, sentenced in a Diplock Court to life imprisonment for the killing of PSNI Constable Stephen Carroll in 2009. The meeting concluded with a very detailed account of the case by solicitor Darragh Mackin, Phoenix Law. Please watch and listen to the panel discussion and hear the state read out on behalf of both men on their continuing fight for justice and please share. 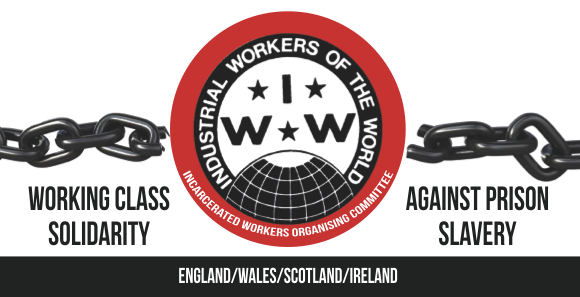 For our part the IWW and the Incarcerated Workers Organising Committee believe it is vital for anyone who believes in human rights and social justice to step forward and highlight this case and the continued imprisonment of these two innocent men, who will be going into their 11th year locked up Maghaberry prison in March 2019. There are many ways in which you can help demand justice for John Paul and Brendan and the main one of which the campaign and the families a calling for people to assist with it their online petition. There are currently over 7,350 signatures of which you can play your part in assisting. Please continue to sign and share the petition. If you can’t access the petition here you can Google petition to Criminal Cases Review Commission.